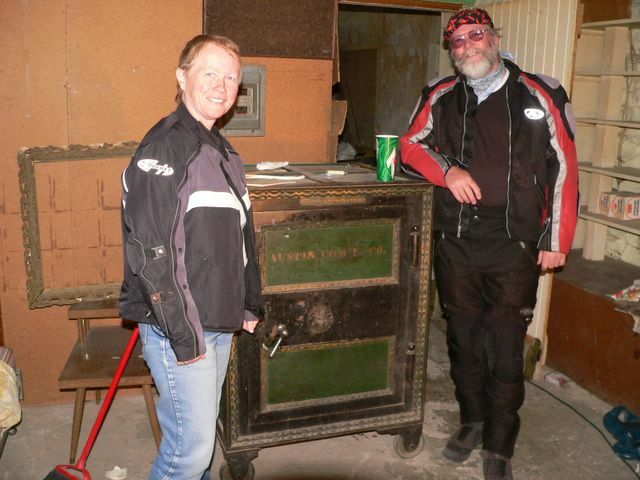 Sandy and Sag beside an old safe that had been used by one of the business in this old building. The guy that is cleaning out the building wants to trade it for a new roof on the local Historical Society Building, It needs one, and would cost about $3500. We sure had a good time poking around in here!